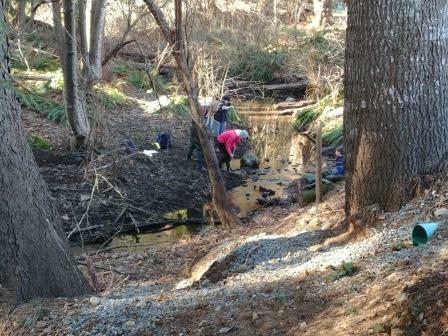 Another successful Streamkeepers course was completed last weekend. Sponsored by the Greenways Land Trust, sixteen energetic participants spent their weekend learning how to monitor streams, measure water quality, and sample stream invertebrates. The next Streamkeepers course will be in Courtenay at the end of May. If you are interested, please let us know.